The works in this exhibition, span the 40 years since Caro wrought the elegant lines of ‘Table Piece Z-8’ to the absolute present in which Owen’s ceramic works emerged from the fire of the kiln and Barker’s delicate metalworks sprang forth from their painted aluminium bases. 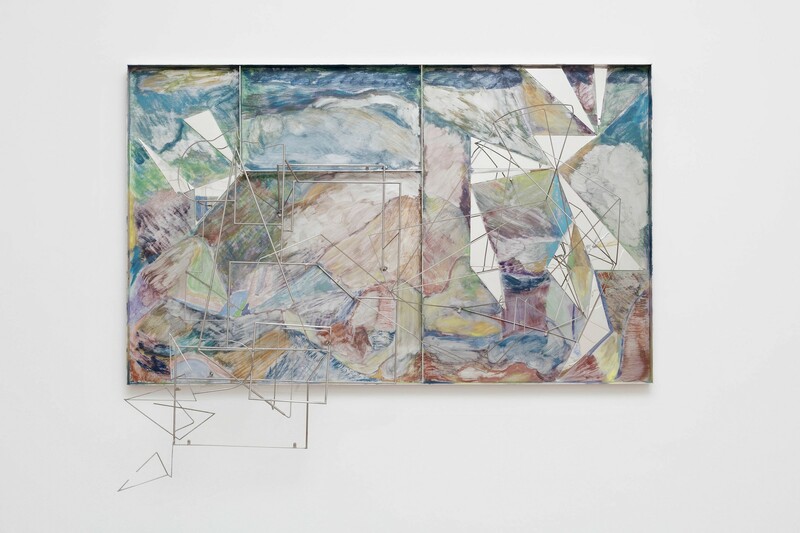 The investigations of these three artists are, to use an uneasy phrase, the same but different. Each of their practices pulls the viewer’s mind into a state of tension between the physical nature of their materials and the immediate interpretive sense of the ‘work itself’. 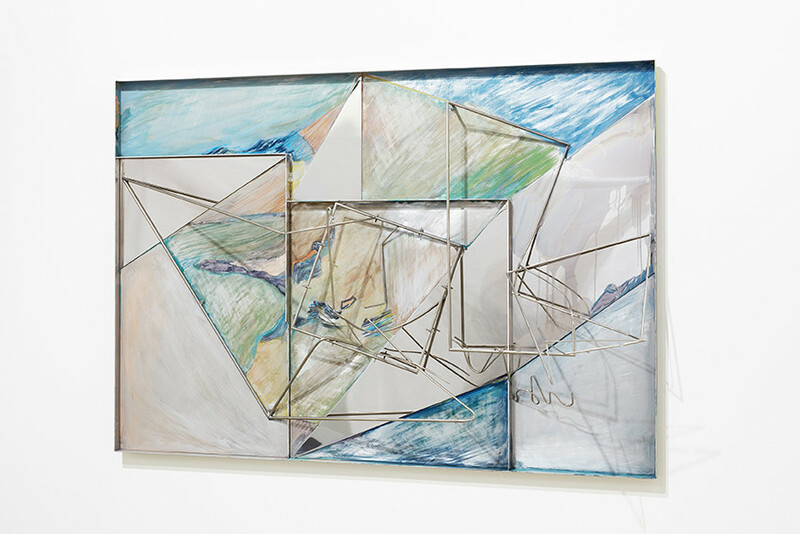 This sense of material disparity is well documented in regard to Caro’s work (heavy but light, solid yet elegant) and applies equally well to the essential elevation of materials in Barker’s works – where the individual elements of each work have a quality of functional recognition but through their assemblage force the eye to defocus and refocus, until the new form is clear in itself. This form, or rather method, of sculptural assemblage – in both Caro’s and Barker’s works – is perhaps more akin to poetry than any other artistic process. The use of extant and self-defined parts to create, within their new pattern, an entirely new idea and form; a context purely of the imagination. 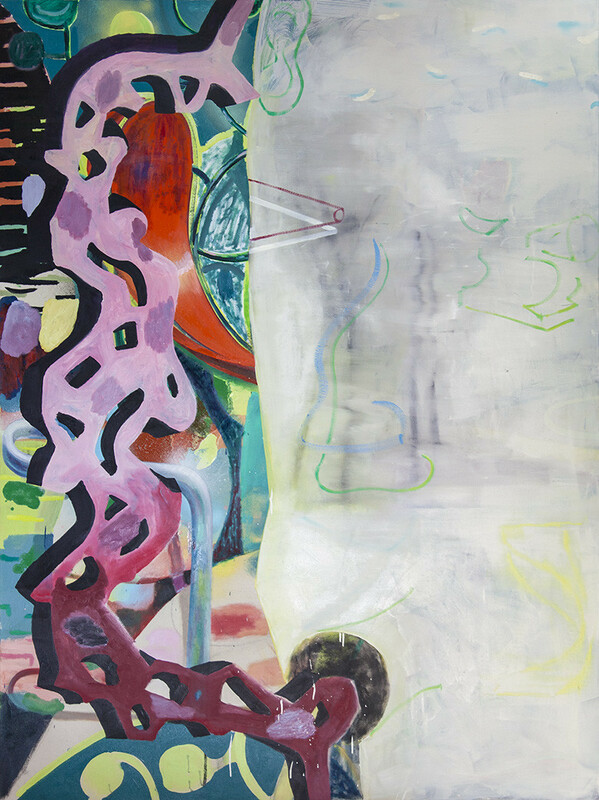 This notion of the redefining assemblage of otherwise recognisable elements applies more literally to the paintings and ceramics of Laurence Owen. 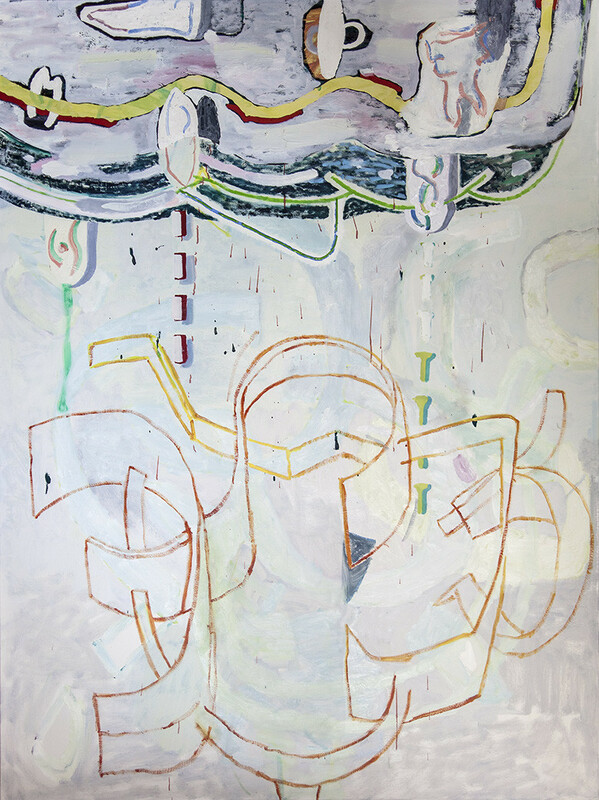 In Owen’s work it is the passages of ambiguity, the moments of ‘strangeness’ between the fragmented representational picture-plain that provide the poetic pauses, indeed the invisible structure of each individual work. 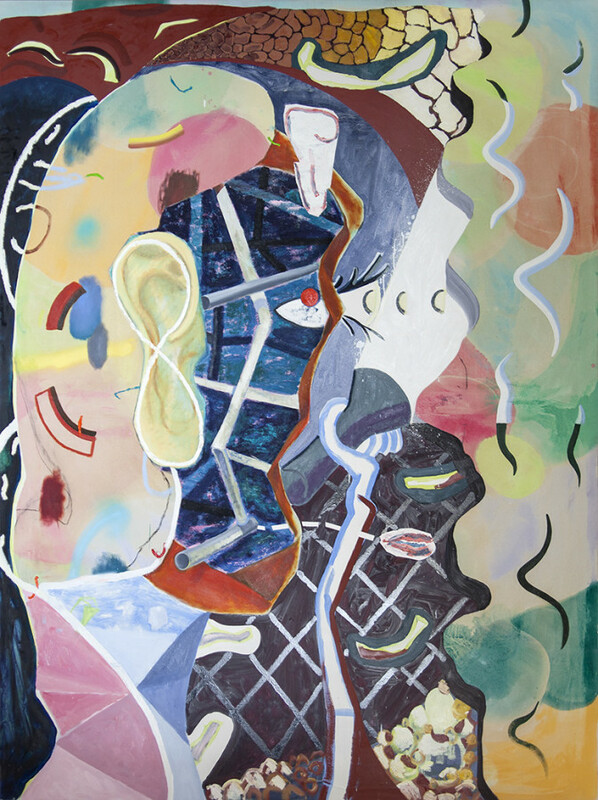 A face becomes a field, becomes a painting, each a swirling form wherein the alien and the familiar jostles for the viewer’s focal attention.